Pool Heaters | J.W. Brian Mechanical. Plumbing and Heating. Allowing you to use your pool year-round rather than just during the summer months! If you have a pool and would simply like to use it year-round instead of just four months of the year, then you should consider installing a pool heater. Solar pool heater - cheaper to operate and the most environmentally-friendly option, but can be slow to heat a pool. Electric pool heater - more effective and ideal in the absence of natural gas, but can be more expensive to operate. Natural gas - the most powerful in terms of heating, and the most practical in a northern climate. 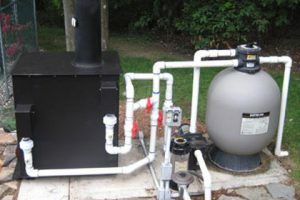 Regardless of your needs and circumstances, if you are exploring installing a pool heater or have encountered an issue with your current system, please feel free to contact us anytime.